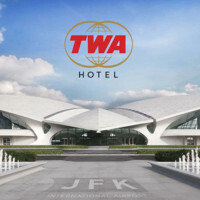 Governor Andrew M. Cuomo announced an historic $13 billion plan to transform John F. Kennedy International Airport into a modern 21st century airport anchored by two new world-class international terminal complexes on the airport’s north and south sides. 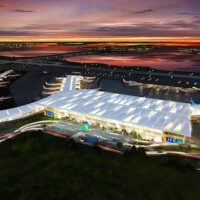 This record investment — including $12 billion in private funding — advances the Governor’s vision for a unified and interconnected airport system with best-in-class passenger amenities, centralized ground transportation options and vastly improved roadways that collectively will increase the airport’s capacity by at least 15 million passengers a year. 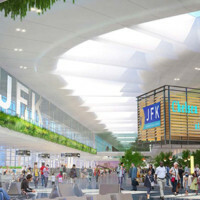 The Governor’s JFK Vision Plan, initially unveiled in January 2017 and based on the recommendations from the Governor’s Airport Advisory Panel, calls for an overhaul of the airport’s hodgepodge of eight disparate terminal sites into one unified JFK Airport by demolishing old terminals, utilizing vacant space, and modernizing on-airport infrastructure, while incorporating the latest in passenger amenities and technological innovations. 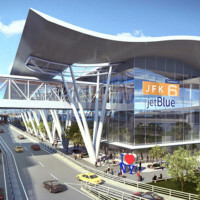 The Vision Plan also calls for increasing the number and size of gates, improving parking availability, an array of airside taxiway improvements to allow for bigger planes and reduced gate congestion, upgrading the AirTrain JFK system to handle increased passenger capacity, and enhanced roadways on and off the airport. 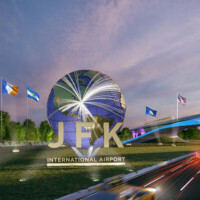 This includes better access to JFK from regional roadways, particularly the Van Wyck Expressway and the Grand Central Parkway, including the Kew Gardens Interchange. 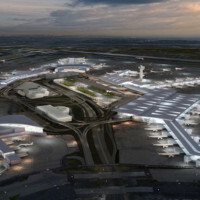 The announcement follows the selection in September 2017 of a master planning team for the redevelopment of the airport, led by Mott MacDonald and Grimshaw Architects, and whose portfolio of prior master planning and redevelopment projects includes airports in London, Singapore, Hong Kong, South Korea, Germany, the Netherlands, Canada and Australia. 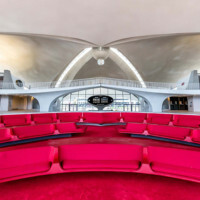 Starting late last year, the Port Authority of New York and New Jersey, which oversees JFK Airport, embarked on an extensive and rigorous process with the airport’s existing six terminal operators—each of which operates under a long-term lease agreement—seeking proposals from each of them to modernize, expand and/or replace their facilities. 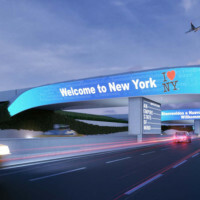 These proposals were in turn evaluated by a formal comparative analysis team, comprised of seasoned experts, against a set of established criteria to determine the best combination of developments that would achieve the core master plan objectives, as well as fully leverage the Port Authority’s previously approved $1 billion capital plan commitment. 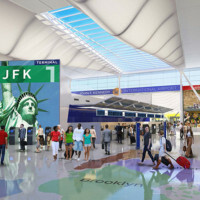 The plans for the two terminals announced will now be submitted to the Port Authority’s Board of Commissioners. 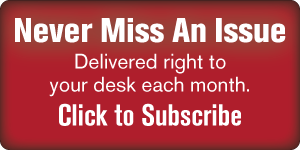 Once lease terms are finalized, the leases will be subject to final Board approval. 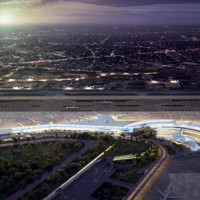 Additional discussions with multiple other airlines and terminal operators remain ongoing to further advance the goals of the Vision Plan. 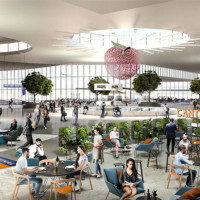 State-of-the-art technological improvements will be part of the terminal upgrades, with security enhancements – such as radiation detection and next-generation identification of unattended packages. 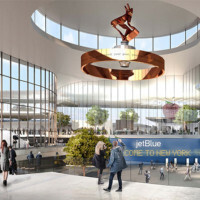 At the center of the airport, the Port Authority will seek proposals to develop the new Kennedy Central hub, issuing a Request for Information in the coming months to determine the most effective and functional way to leverage this blank canvas in a fashion that will complement and add value to airport experience. 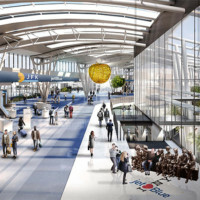 Options might include, but aren’t limited to, public open and recreational space, conference centers, cultural uses and other amenities for the traveling public and the airport’s workforce. 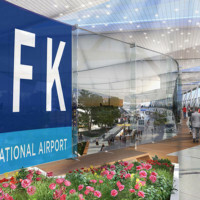 JFK Airport is one of the region’s most powerful economic engines, supporting roughly 300,000 jobs that pay $16.2 billion in wages annually while generating $45.7 billion in yearly sales. 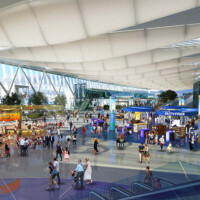 The airport set a record with nearly 60 million passengers in 2017 and is projected to eclipse 75 million passengers by 2030. 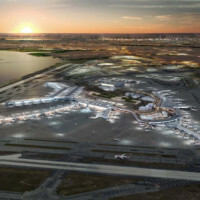 Together, the new terminals are estimated to create over 9,600 direct jobs, including construction jobs and over 15,000 total jobs over the life of the project. 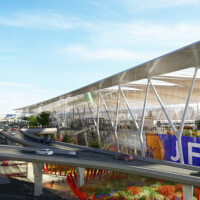 Plans call for the terminal areas to be linked by two main “ring roads,” a north loop and a south loop, which will make it easier to enter and exit the airport while providing significantly easier access to the terminal complex areas on the airport’s north and south sides. 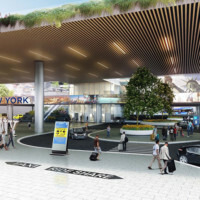 Construction is slated to begin later this year on improvements to eliminate bottleneck conditions at the Kew Gardens Interchange – originally built in the 1930s – with the Grand Central and the Van Wyck Expressway. It still contains a series of ramps that do not meet today’s standards, and the improvements are expected to be complete by the end of 2022. 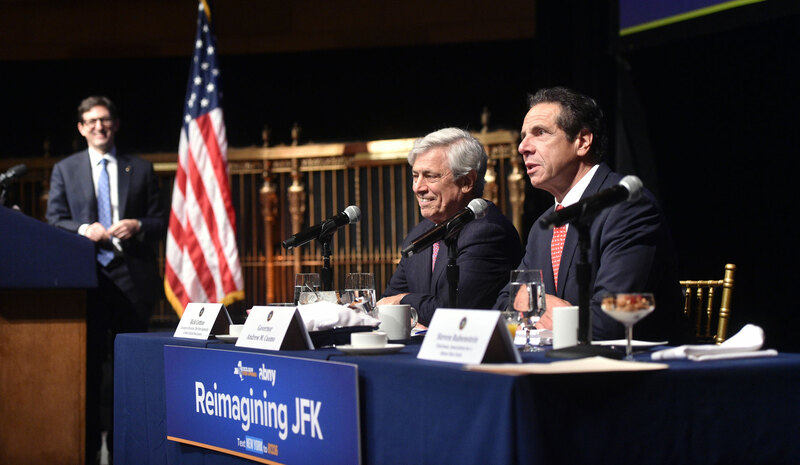 The Governor also announced the creation of the JFK Redevelopment Community Advisory Council, composed of elected officials, community boards, nonprofit organizations, civic organizations and clergy leaders. The Council will be chaired by Queens Borough President Melinda Katz and U.S. 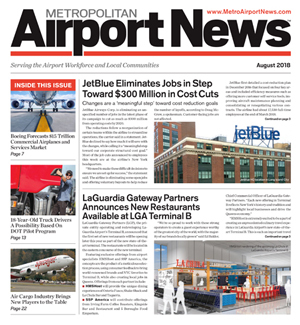 Congressman Gregory Meeks, and will work with the Port Authority to expand community outreach efforts that are already underway, ensuring this ambitious project solicits ongoing feedback from local stakeholders as well as provides meaningful opportunities for local businesses, MWBE businesses and jobseekers. This includes a commitment to the Governor’s nation-leading goal of 30 percent utilization of MWBEs, which applies to contracts as well as financing interests. 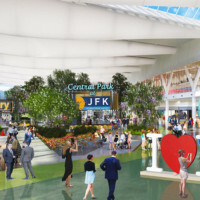 A community office for the project will open in Jamaica, Queens later this fall, providing easier access for firms looking for business opportunities as well as local residents in search of jobs.